Deneys Reitz was 17 when the Anglo-Boer War broke out in 1899. Reitz describes that he had no hatred of the British people, but “as a South African, one had to fight for one’s country.” Reitz had learned to ride, shoot and swim almost as soon as he could walk, and the skills and endurance he had acquired during those years were to be made full use of during the war. He fought with different Boer Commandos, where each Commando consisted mainly of farmers on horseback, using their own horses and guns. Commando describes the tumult through the eyes of a warrior in the saddle. Reitz was fortunate to be present at nearly every one of the major battles of the war. 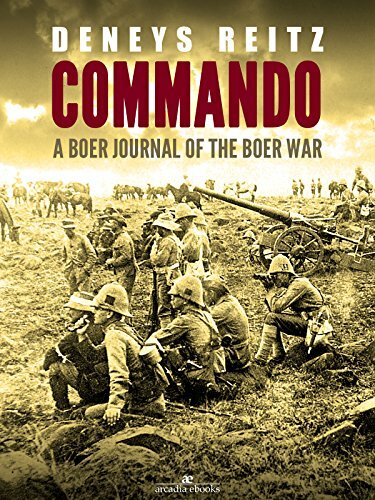 Commando is a straightforward narrative that describes an extraordinary adventure and brings us a vivid, unforgettable picture of mobile guerrilla warfare, especially later in the war as General Smuts and men like Reitz fought on, braving heat, cold, rain, lack of food, clothing and boots, tiring horses.